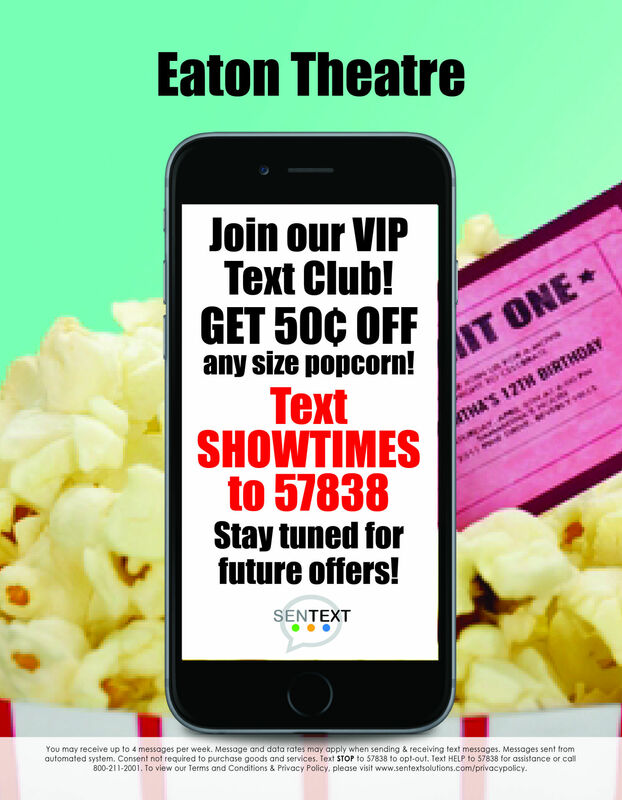 Get special offers and show times sent directly to your phone. 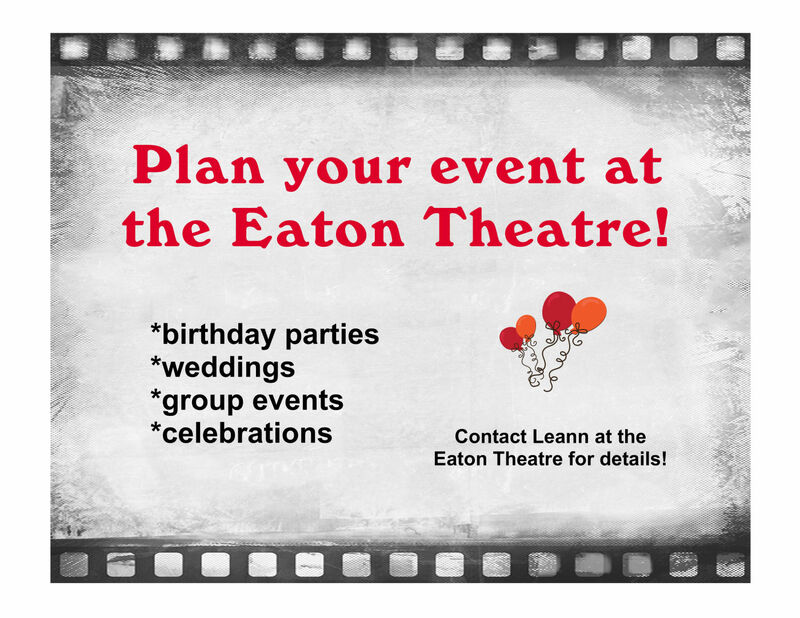 Seeing a movie at the Eaton Theatre is about more than affordable prices and great popcorn. Our team is dedicated to bringing you unique experiences that start as you approach the glow of our historical marquee and stay with you long after the credits roll. We not only offer first run movies at a great price, but we also offer community events. Help us to not only continue refurbishing this historical theatre, but also to continue to offer a place for families to gather and enjoy time together. We have added a new retro arcade and virtual reality room, extended our hours, and are working hard to continue our repairs and upgrades. With your support we'll keep those magical experiences alive. It's easy, it's fast, and it's safe to donate to your local downtown movie theatre online. Just click the button below and help keep our historical theatre improving...Thank you! **Donation button is linked to paypal. If you do not have a paypal account and still wish to donate, please do so at the Eaton Theatre ticket booth.